In the Kingdom of Cambodia, The Lutheran Church—Missouri Synod (LCMS) partners with the Cambodia Lutheran Church (CLC). A growing collection of Lutheran churches, the CLC proclaims the Gospel and demonstrates mercy throughout the country. 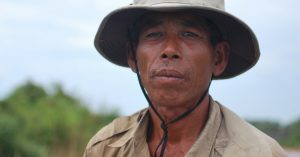 The LCMS placed missionaries in Cambodia at the request of the CLC and with the support of Lutheran Church Canada (LCC). The missionaries provide mentoring and theological education for the CLC’s leaders, pastors, deaconesses, and lay people. The LCMS also supports selected CLC programs and projects. The LCMS seeks to strengthen the already-impressive capacity of the CLC’s leaders, to help them serve people faithfully in their context. Aimee Cima and her family recently moved to Cambodia. She joined the podcast today to discuss their new opportunities for witness. Rev. J.P. Cima joins me to discuss his new work and recent (not regular) transition to Cambodia. Rev. 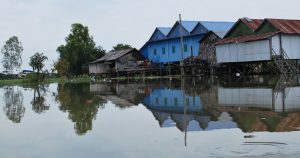 J.P. Cima visits Kampong Chhnang and provides an update on work in Cambodia.